How do you bring a container home into a historic area of Houston, Texas? That was the challenge Shane Cook Designs was faced with when crafting the Oxford House. In fact, this 496-square-foot (46.1-square-meter) structure is actually a backyard extension of a traditional bungalow dwelling. One of its main uses is to serve as a guest space. Take a look inside to see the company's design. 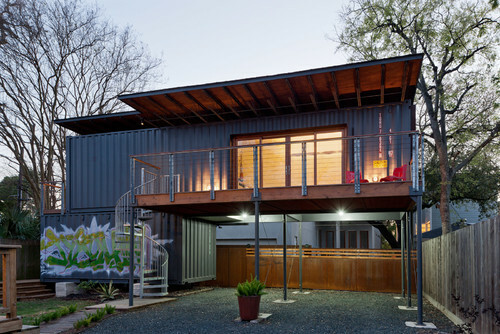 Completed in 2013, the Oxford House relies on two repurposed shipping containers. Shane Cook suggested this to his clients not only because of the sustainable aspect but also because the modular structures would enable him to create "a trendy space with an urban hint." The area under the deck is actually meant to be a parking space. How's that for efficiency? You can't fault this eco-friendly build for natural lighting. The side window is a prime example of this amenity. 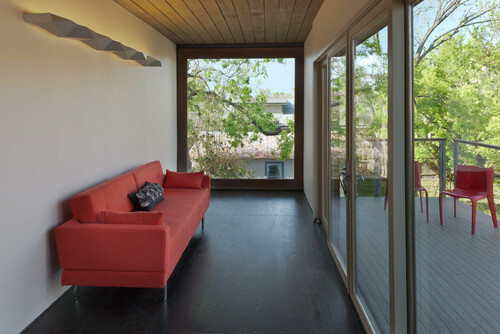 In fact, the house actually won the Paper City Magazine Award for Best Use of Green/Sustainable Design. 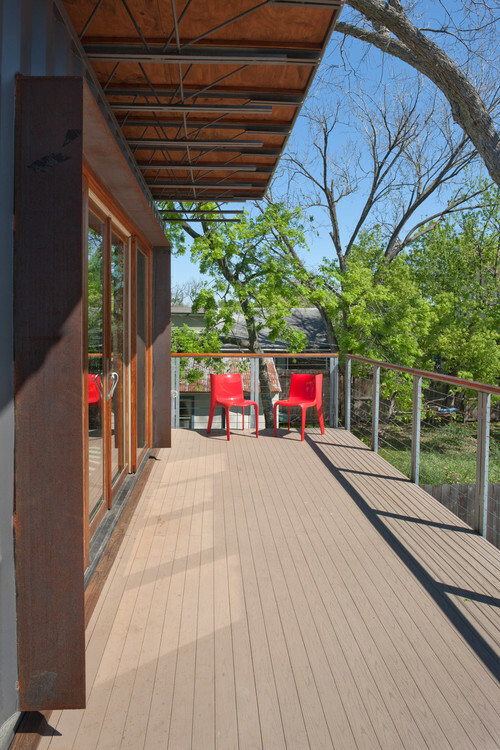 Red chairs add a modern visual flair to this humble abode's charming deck. Inside, a red sofa echoes the color in the deck chairs. Where the Oxford House falls short in leg room, it makes up for in front-seat access of some of the best neighborhood views. When this sweet little abode isn't being used as a guest area, it serves as an office space. The kitchen area provides a place to keep food and drinks cold. Of course, there's a proper work area too. 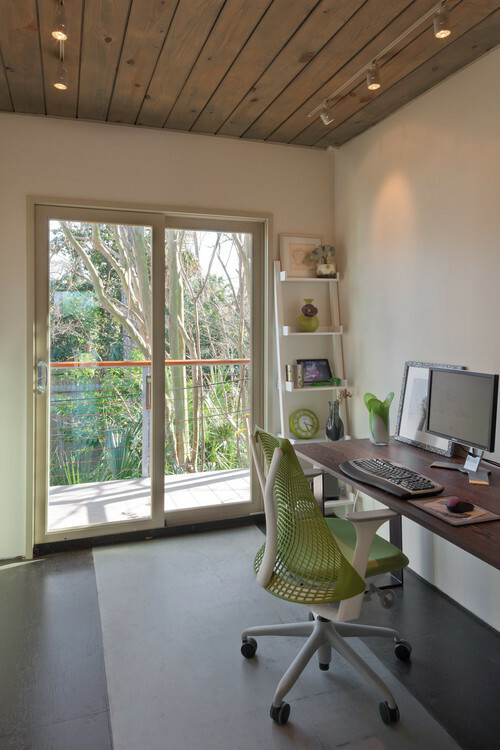 A few splashes of green within the furnishings and decor freshen up this productive corner. No container home would be complete without a bathroom. 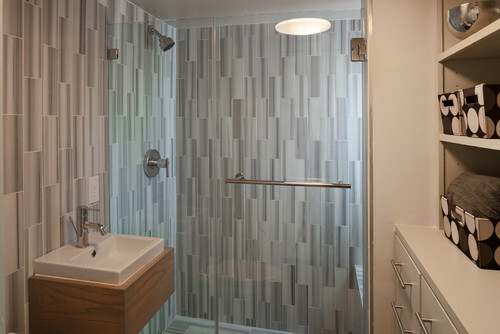 The Oxford's is elegant and complete, with a full-size shower and stylish tiling making all the right impressions. 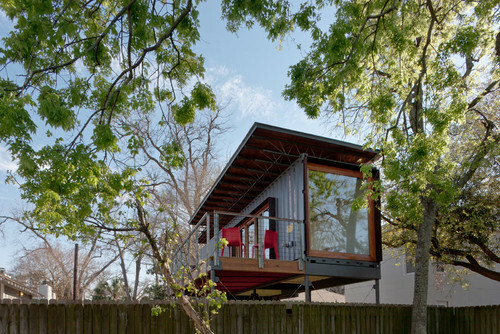 The Oxford demonstrates that there is room for container housing within a historic neighborhood. Its urban aesthetics and stylish interiors work quite well together, creating a special space any guest would be pleased to enjoy. Dwell Containers Canada offer a myriad of options for people who are seriously considering container living. 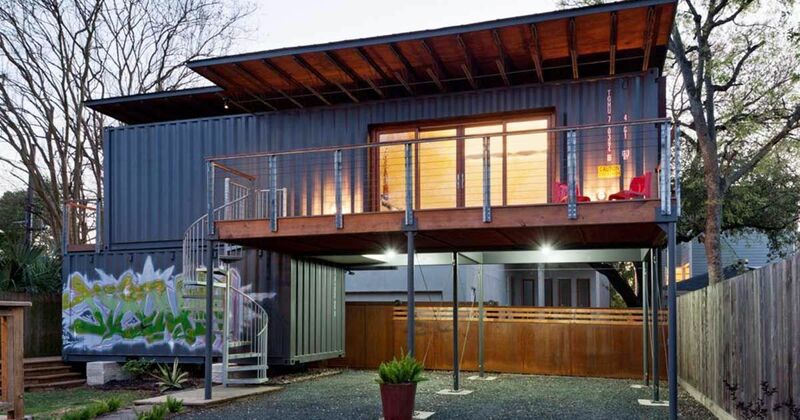 In 2013, Yamil Matilla and his fiancee put all their DIY and technical knowledge to the test by building their own container living space from scratch. Modular homes don't have to be humble and confined. You can create a luxurious masterpiece by combining just the right number of shipping containers into a single construction. 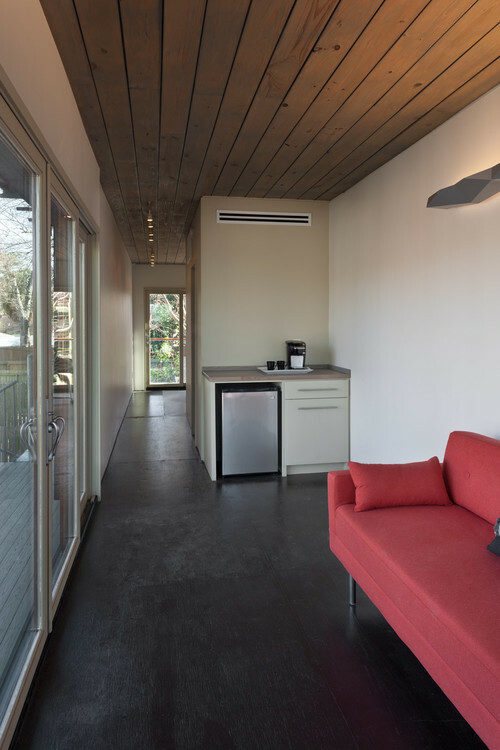 A completely renovated tiny bungalow.